Foxnews.com offers the reaction of actor Robert Davi to actor Robert De Niro’s crude act towards President Trump at the Tonys Award show. Robert Davi had a few choice words for fellow actor Robert De Niro after the "Raging Bull" star launched a profanity-laced tirade about President Trump during Sunday's politically charged Tony Awards. An impassioned Davi told TMZ De Niro's profanity-laced speech was "disgusting." "It was disgusting. He shouldn’t have done it. It’s art, art unites people, it doesn’t separate people," Davi told the gossip site. "No matter how you feel about a president … or a candidate … you know, this is still America, and we should at least have respect and a certain decorum." In Sunday night's speech, De Niro as he clenched his two fists in the air, "I'm gonna say one thing: F--- Trump!" He left panic-stricken broadcast censors trying bleep out the remarks. "It's no longer down with Trump, it's f--- Trump!" … "I didn’t agree with President Obama, but I respected him," the "Die Hard" actor explained. "I met him, we shook hands. All right? You don’t do that, you don’t … alienate people like that." 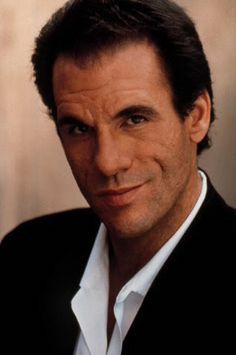 Note: Robert Davi is a good actor, a good writer and a good man. I loved him as a Bond villain in Licence To Kill and as a mob guy in the TV series Wiseguy.